A gas fireplace can make a stylish focal point in any room, providing your home with instant heat and a warm, welcoming ambience. A roaring fire and real flames are a beautiful feature of contemporary and traditional interior design trends. 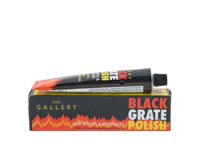 As a real fire can be a hassle, with a high level of maintenance and cleaning, modern gas fireplaces can be an excellent alternative as they provide real flames without the smoke, ash or effort. 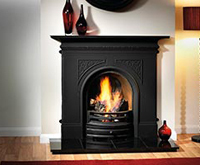 Gas fireplaces have the significant advantage of being convenient and easy to use. At the touch of a button, you can create instant heat and real flames with a gas fireplace, as opposed to a log burner where you have to find the right sized logs and establish a skilled fire-starting technique before you can enjoy the warmth of a fire. Once you have a fire, you can then control the output and flame levels to suit your comfort, helping to lower your emissions by only using the energy you need. 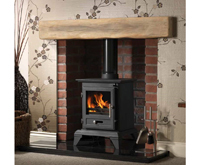 You can also save money with cheap gas fireplaces as gas is a more affordable heating source than wood for log burners. It is kinder to the environment as it does not emit smoke and can be used in smoke-controlled areas. 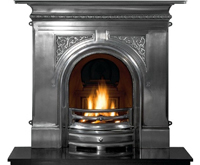 One of the most significant advantages of gas fireplaces is the fact they come in a range of styles and designs. At Cast Fireplaces, we stock a range of models from contemporary, modern gas fireplaces, to traditional and realistic stove options. With a variety of looks, you can find the perfect gas fireplace to suit every room and interior design. 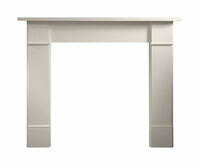 With a gas fireplace, you do not need a conventional chimney, making them easy to install and therefore cheaper too. 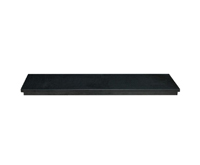 Find out more, by exploring our range of gas fireplaces.